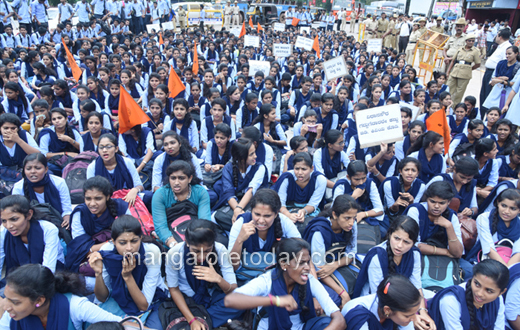 Mangaluru, July 06, 2018: Tense moments prevailed during a protest against the state budget, organised by the ABVP in front of the DC office on July 6, Friday when some of the protestors jumped off the barricades installed at the protest venue. Some of the protesting students even tried to gherao a police jeep. 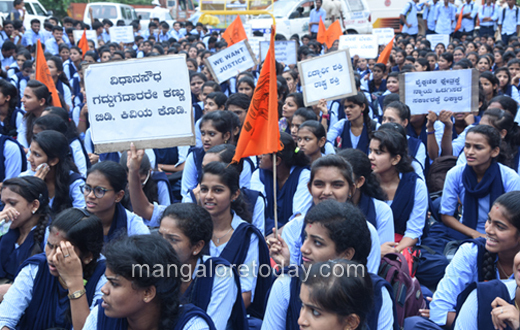 An ABVP activist was detained by the cops for not heeding to the instructions. He was later released. 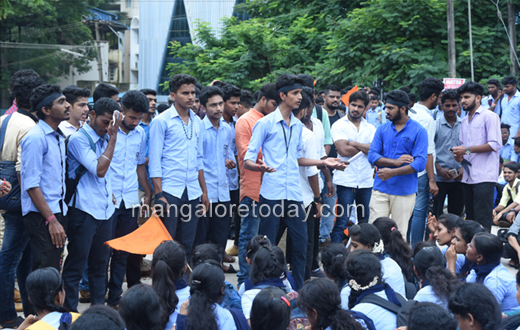 The protestors alleged that the budget presented by Chief Minister HD Kumaraswamy on Thursday has failed to live upto the expectations of the education sector. There is no mention of upgradation of hostels for SC/ST students as well as filling vacancies of teachers, they alleged.